The DockATot is a multi-functional lounger, co-sleeper and playtime lounger. It gets amazing reviews for helping babies sleep more soundly in a snug and womb-like environment. The DocATots are lightweight and portable which makes them easy to move from room to room and perfect for traveling. They're also all natural and made of 100% cotton. 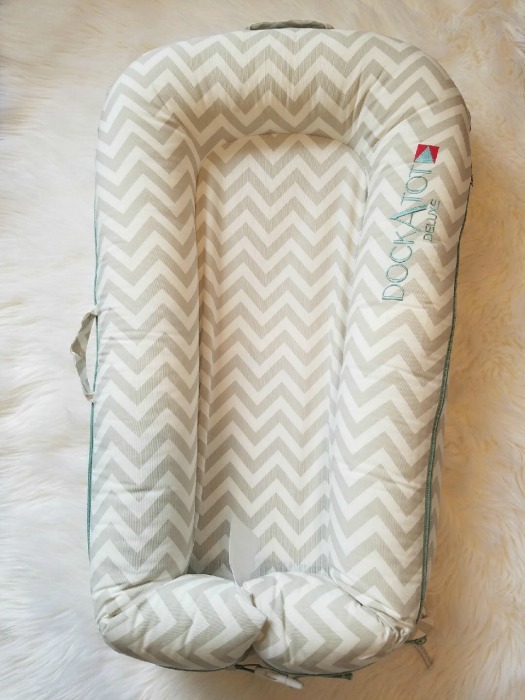 I am so excited to try out our DockATot and I'm hoping our baby loves to sleep in it! This adorable baby outfit and rattle are from the Finn + Emma elephant collection. Finn + Emma products are made with 100% organic cotton and eco friendly dyes. They have a variety of unique clothing prints and styles for babies and toddlers. They also have toys, teethers and play gyms made with all natural wood! The elephant collection is my favorite...I love the mint and gray! I picked out the outfit above for baby DeWire to wear throughout the summer. The shorts have a cute elephant pocket on the back and the hat is reversible! One thing I love about the Finn + Emma clothing is that you can mix and match so many items within the different collections. Each of the collections even have matching toys! Lorena Canals specializes in rugs that are hand-made, natural and machine-washable. They also have a beautiful collection of cushions, baskets and blankets! Their home collection includes products for adult living spaces and children/baby rooms. I picked out this Baby Petit Point Grey rug for baby DeWire's nursery (comes in pink, too). The cross-stitch baby design is too cute! I love the modern look to the Lorena Canals nursery decor and the fact that their rugs are machine-washable. 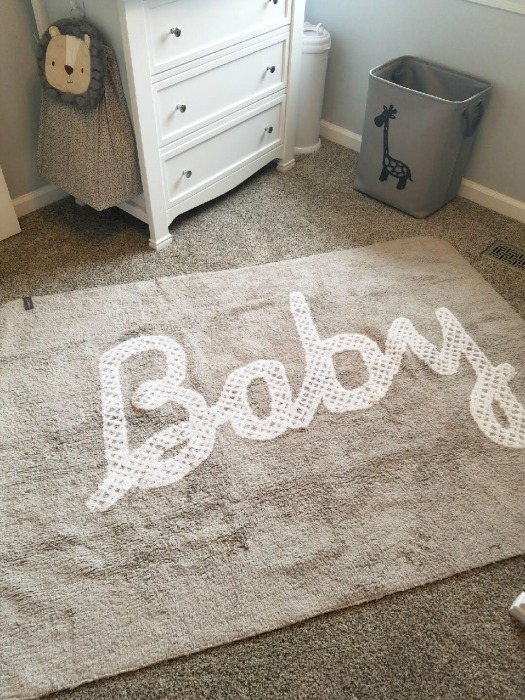 I'm sure my rug will get a lot of wear and tear between the baby and Jax, so being able to wash it will make things WAY easier! Also, proceeds from Lorena Canals rug purchases go toward the Sakula Project which provides schooling for children in India. How cool is that!? Milestone is a company that makes baby photo cards for capturing the memorable moments in the first year of baby's life! It is such a cute idea and a great way to remember the special milestones through photos. 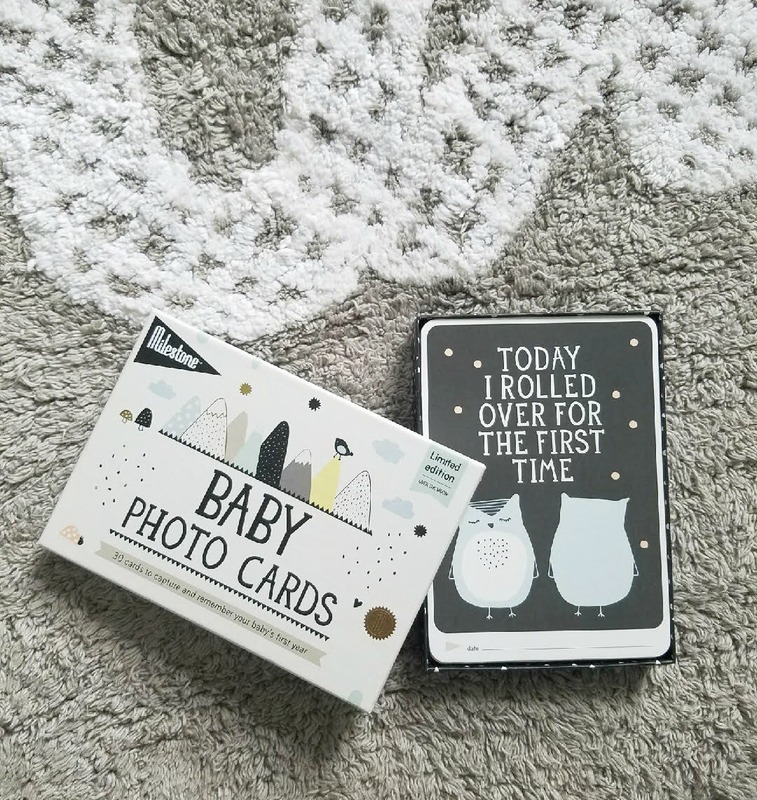 I can't wait to take pictures of Baby DeWire with the various cards in our Over the Moon set! This swaddle is from The Ollie World company and known as "The Smarter Swaddle." It's made from custom moisture-wicking material to reduce the risk of overheating and it has a custom closure so one size fits all! I also love that it has easy access for diaper changes with an opening in the bottom. I was super impressed with the beautiful packaging. 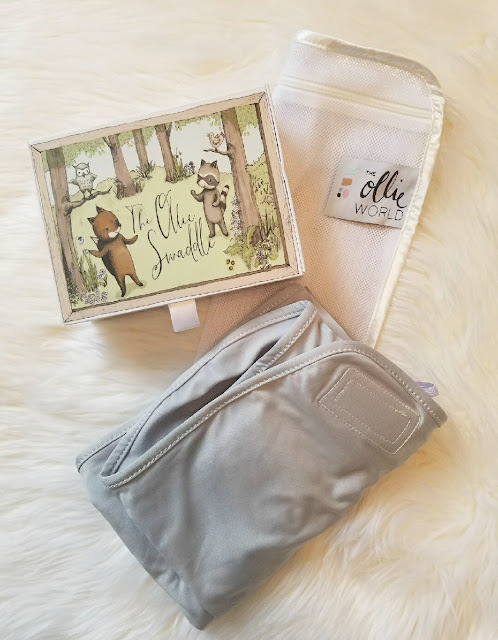 The swaddle was folded in the adorable box you see pictured above, which also included the white zipper pouch to keep the swaddle in. We've purchased a few different swaddles and sleep sacks, so I'm looking forward to trying them out and seeing which our baby sleeps in best! This one gets amazing reviews. 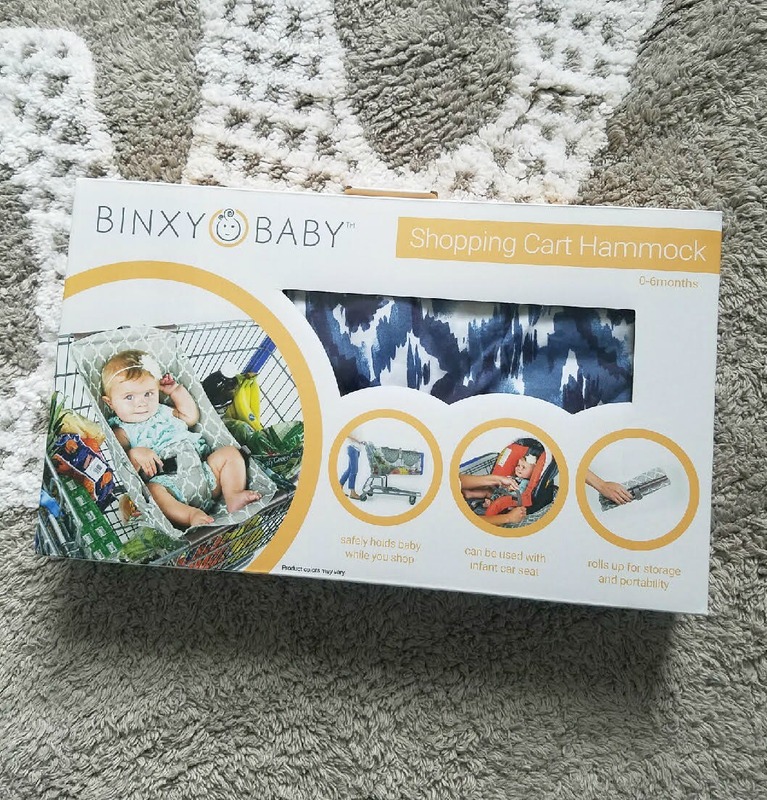 The Binxy Baby Shopping Cart Hammock is such a creative idea and I'm so excited to try it out when our baby arrives! These hammocks get great reviews and look like they make grocery shopping way easier with a young babe! The hammocks easily clip onto most grocery carts and are elevated so you can put groceries underneath. They hold up to 50lbs in weight so you can strap your baby directly into the hammock or you can strap in your infant car seat. I'll be sure to try both ways and let you all know which I prefer. I'm sure when our baby is little it will be easier to put his car seat right on top of the hammock! 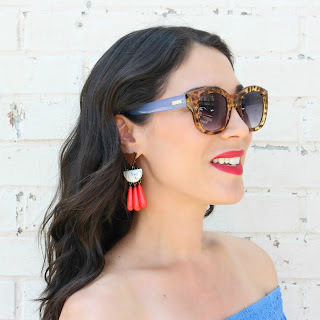 I hope you enjoyed today's post and I'd love to know if you've tried any of these awesome products! I will be reviewing each of them once baby is here and we get to try them out. Stay tuned! Products were provided for feature, all opinions are my own. I love the cards and that grocery cart hammock! That would have been so nice when my girls were little!